We’re sticking to the Western Conference again today with the next round of season previews. Today we have a team that has made a ton of moves on and off the field this winter, the Colorado Rapids. 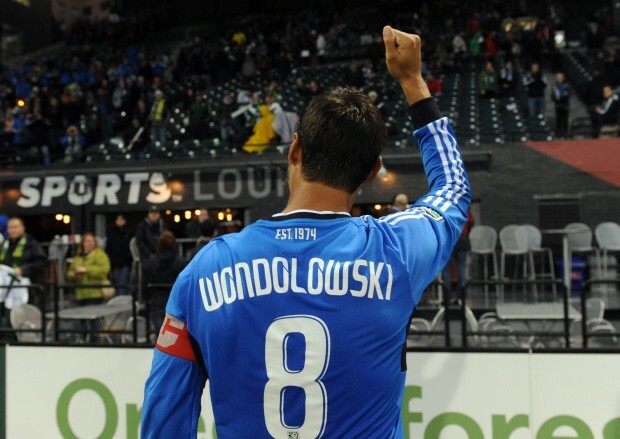 Just like is previous season for the Rapids, 2012 was a year of inconsistency and injuries. New coach Oscar Pareja never got his main 11 on the field for more than a game or two all season long. By the end of it all the club decided to blow things up a good bit for the 2013 season. [quote style=”boxed” float=”right”]“We think he’s a possibility for the opener. We need him for the whole season, not just one game.” – Oscar Pareja on Edson Buddle, via MLSSoccer.com[/quote] 1. Will the Rapids be defensively better in a 4-3-3? We know Pareja has been working very hard to shift his team to a 4-3-3, getting the right players to fit that system has been a struggle. But more importantly in my mind is how the defense will be in 2013. No more Jeff Larentowicz is a big deal but so is the depth in the back four. Losing a hand full of guys the way they did was pretty troubling. They did pick up a couple newcomers in the process but as we all know, adapting to MLS can be tricky for newbies of the league. A lot will rest on guys like Drew Moor, Marvell Wynne and even newcomer Diego Calderon. If Calderon, the Ecuadorian national teamer can adapt quickly and partner up well with Moor in the middle, the Rapids may be fine. Let’s just hope the young depth behind them doesn’t have to get tested early with any injuries. 2. Can Edson Buddle get back his career? This has to be one of the bigger tickets in my mind. Edson Buddle had a great year in LA a couple of seasons ago before going to Europe, not succeeding well over there, to only return to LA to be injured a bunch. He’s now in Colorado and the pressure will be on him to produce. No Conor Casey, no Omar Cummings to take the pressure off of him. I do think rookie Deshorn Brown and a healthy Atiba Harris will do some good for him on the wings and Tony Cascio has also shown well up front. Colorado needs a big year out of Buddle, or else it could be a long year. 3. 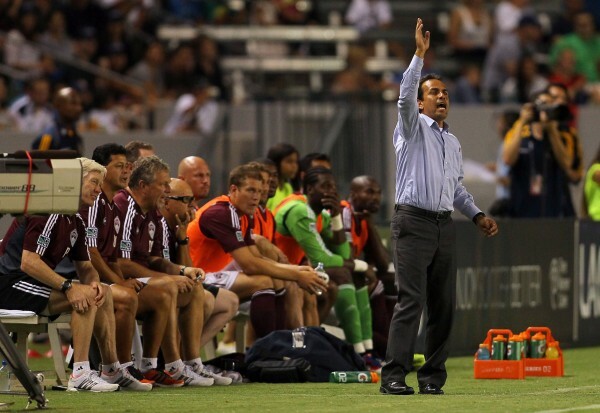 Can the Rapids be consistent in 2013? This has been a lingering issue with the Rapids for seasons now, no matter who the manager has been. I look at their record and see a decent amount of wins last year, a ton of losses but hardly any draws (fewest in the league). To me that means one thing, they are wildly inconsistent. They win, they lose but they don’t stay in enough games to earn points. This club has plenty of questions, definitely more than three in my mind. But the consistency factor is a big one that needs to be sorted out. Year two is a big one for Pareja and he has to get a team on the field that can at least get points when they aren’t scoring (which will happen given their lack of offense at the moment), or when their defense isn’t doing well (which could happen too). Andre Akpan – It is a make or break year for the Harvard grad. He knows it, Pareja knows it and the fans know it. – The Rapids will be in the playoff hunt all year long. I don’t want to commit to them being a playoff team just yet. Too many lingering questions in my mind before I fire off that prediction. I do think they’ll be more competitive in year two under Pareja and will be in the hunt all season long one way or the other. – Pablo Mastroeni will retire at some point this season. I hate even saying that but given his concussion history, it is bound to happen that he may have to hang it up early. Gosh I hope I am wrong on this one. Thanks! Great write up. I think defense is in better shape than last year, and I seem to have more confidence than you do with it. Let’s hope I’m right. Akpan does need to have a break-out year, but I don’t see it happening. There are a lot of attackers with the Rapids right now and I don’t see him as the go-to guy for getting the minutes he needs to perform. On this one, I hope I’m wrong since I do like Andre.